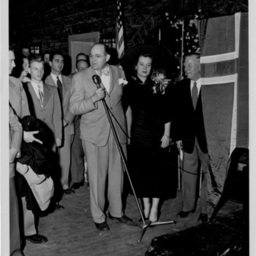 Photograph taken by William Hoyle Garber showing a group of individuals at an unidentified Shenandoah Valley Apple Blossom event. 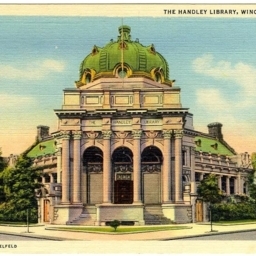 The Handley Library, Winchester, VA.
Color postcard with a picture of the Handley Library in Winchester Virginia. 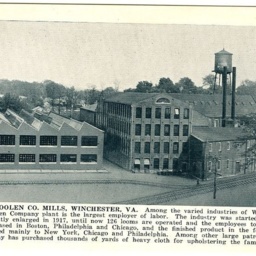 Virginia Woolen Co. Mills, Winchester, VA.
Postcard with a picture of the Virginia Woolen Company's manufacturing mill located in Winchester Virginia. 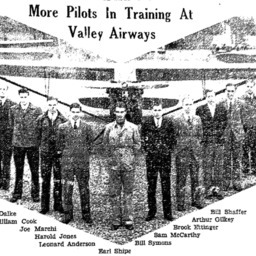 The card also includes a description of the company and who its customers were. 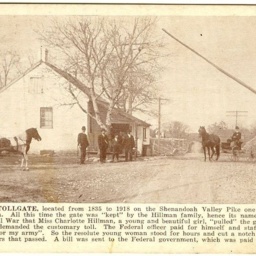 Postcard with a picture of "Hillman's Tollgate" located on Valley Turnpike (US Highway 11) south of Winchester Virginia. 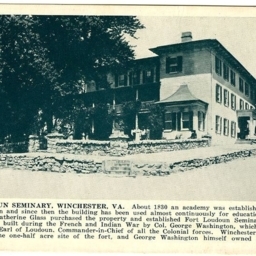 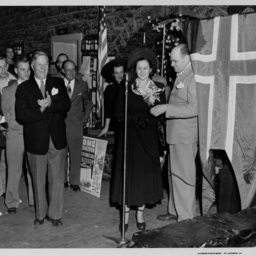 The card includes a description of the site and its history.